It’s a sad truth of new motherhood: You probably don’t have as much time for your beauty routine as you once did. I know for me showers are less frequent, blow-drying almost never happens, and makeup is the bare minimum. Any shortcuts that can give new moms a break are welcome, and the Jonathan Green Rootine Dry Shampoos do just that! 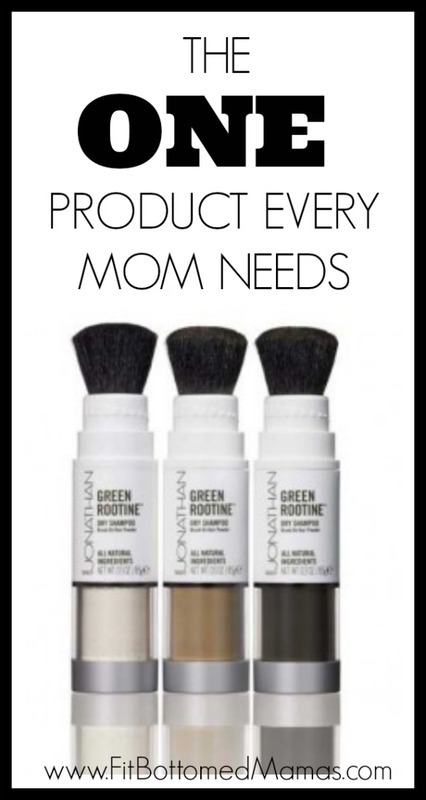 Perfect for a mom who has to skip a couple of days between shampoos, anyone wanting to extend that perfect salon hair-do or a gal needing to freshen up post-workout, the Jonathan dry shampoos come in a cute little powder/brush applicator that is a breeze to apply. You simply adjust the powder dial and dab your roots with the brush. It really does freshen your hair and buy you extra time between washings; it’s even better than another Jonathan product I tried before. With black, dark and light color options, one of the powders will be a match for your hair. This is one every new mom should have in her beauty arsenal—and it’s only $19! Dry shampoo saved my life when each of my babies was first born. Seriously.